The Kingsley Stags beat the Glen Lake Lakers at Glen Lake High School on Tuesday night 70-66. 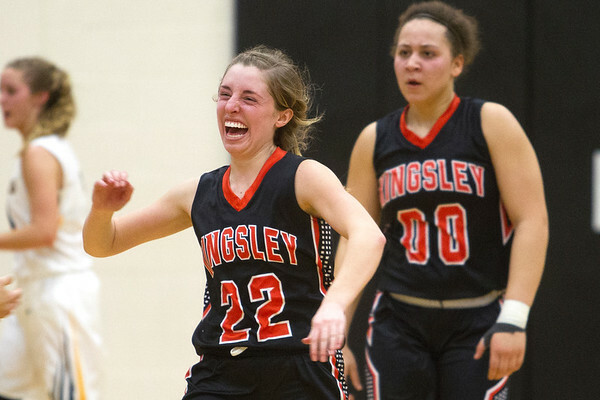 Kingsley's Kelsie Bies (22) celebrates winning the game at Glen Lake on Tuesday night. The Stags beat the Lakers 70-66.